They say magic doesn’t exist in our modern age. But is that really true? Without magic, how could a stolen guitar or a lost shoe lead to love? What could spark romance at a workplace assessment, or turn a mean-spirited monster into a man? Six fairytales and myths receive a contemporary MM twist in this collection of stories, which prove that sometimes the mundane can be magical too. When Theo’s landlord steals his guitar in lieu of overdue rent, he tells Theo he will only return the instrument if he can go on a date with Theo’s twin sister. With Fran less than willing to play along, Theo is left with one option: to go in her place. In order to keep his job, Andre must pass an examination. However, his unspoken love for fellow programmer Eren proves a constant distraction, as does the identity of a mysterious benefactor who offers helps along the way. Hunter and Ross are deeply in love, but Ross’s father is intent on setting him up with undesirable, yet powerful, older men. That’s bad enough, but the situation worsens when the latest of these potential partners turns out to be Ross’s boss. Attendance at the company’s masquerade ball is compulsory. Cillian intends a swift departure once his presence has been noted, but he changes his mind when a dashing stranger asks him to dance. Love is in the air…until he uncovers the man’s identity. Dunstan Griffin is not a man accustomed to letting a debt slide. Therefore, when Alfred Siskin offers the EA services of his son, Wynn, in lieu of payment, Dunstan accepts. He intends to make the most of his new worker, but soon his desires change. Asta Idonea (aka Nicki J Markus) was born in England but now lives in Adelaide, South Australia. She has loved both reading and writing from a young age and is also a keen linguist, having studied several foreign languages. Asta launched her writing career in 2011 and divides her efforts not only between MM and mainstream works but also between traditional and indie publishing. Her works span the genres, from paranormal to historical and from contemporary to fantasy. It just depends what story and which characters spring into her mind! As a day job, Asta works as a freelance editor and proofreader, and in her spare time she enjoys music, theater, cinema, photography, and sketching. She also loves history, folklore and mythology, pen-palling, and travel, all of which have provided plenty of inspiration for her writing. She is never found too far from her much-loved library/music room. Posted in Giveaway, IndiGo Marketing & Design, Promo, Release Blitz! 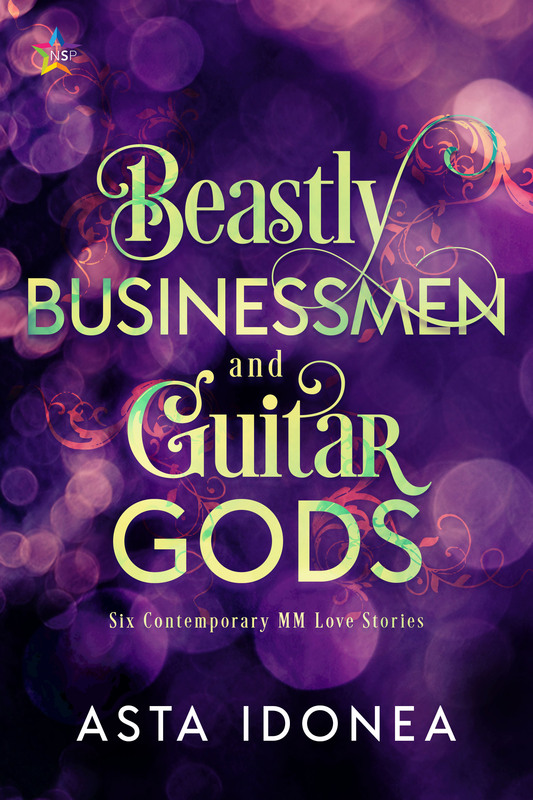 Tagged Beastly Businessmen and Guitar Gods, Giveaway, IndiGo Marketing & Design, Promo, Rafflecopter, Release Blitz!